Are you located in Ottawa and are looking for a way to reach your local market? 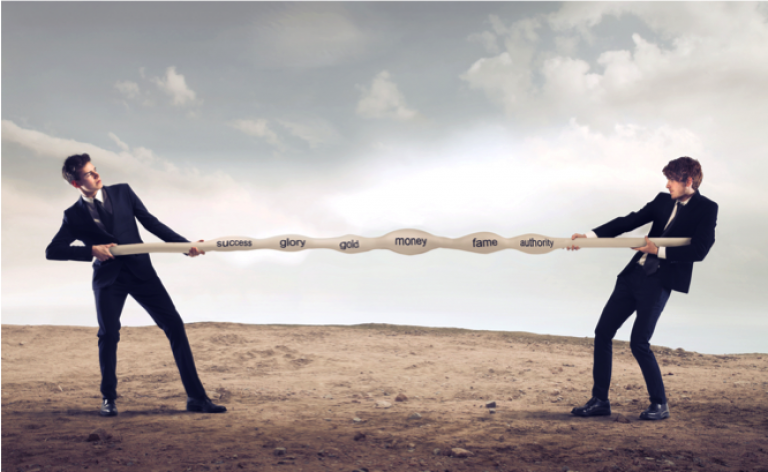 Do you have a small business facing an uphill battleto find the right marketing solutions? 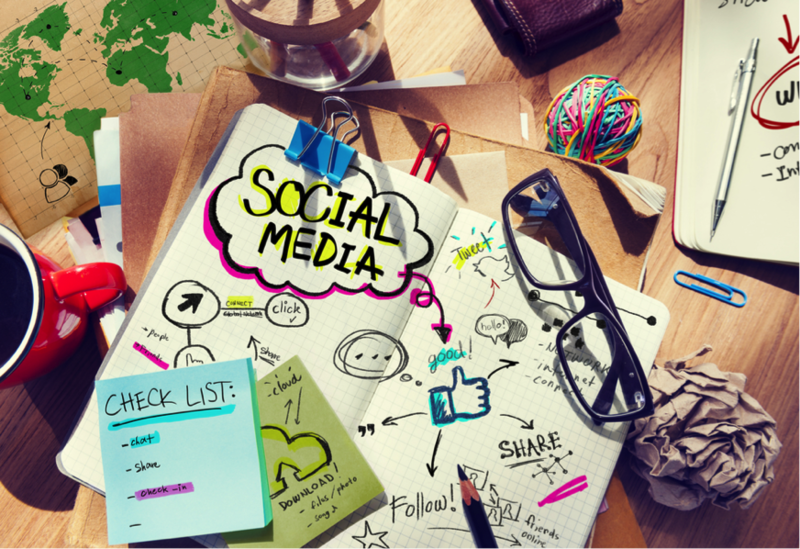 Do you struggle to find traction on social media? Do you want to know the best possible way to attract local customers to explore what you have to offer? We are social media experts and we have put together this free, insanely actionable step-by-step checklist to help your small business social media marketing take off in Ottawa! Over the last decade, social media has become an intrinsic part of society around the world, providing connections between people, places, and ideas in a revolutionary manner. Despite an original purpose centered around personal interactions, social media sites like Facebook have evolved radically,bringing individuals, brands, and businesses together on one unified platform. Social media provides many marketing advantages to companies, offering a dynamic way to connect to users both next door and around the world. Providing a great way for small businesses in particular to get off the ground, build a user base, and start getting in touch with a target audience,sites like Facebook can be a goldmine for businesses looking to build a relatable brand. Social media marketing goes beyond just maintaining a presence and hoping for the best, however; truly making a difference with your marketing means creating and implementing a strategy centered around achieving your goals. At the end of this guide, you’ll know exactly how to develop a social media marketing plan, and implement your social media strategy designed to draw attention, promote sharing, and grow your business profits in a new and effective way. Intended to help your Ottawa-based company better target potential clients, reach the right users on social media, and create content worth sharing, you will understand what it takes to truly make a difference. Designed to be a comprehensive guide for companies getting off the ground in the greater Ottawa region, this guide and checklist will help you find the right solution for any social media struggle, walking you through the process of finding and targeting your audience, staying competitive, and thinking locally. By identifying key features like demographic information and ad promotion strategies, you can customize the campaign right for your business, no matter what your end goals may be. Whether you have an existing social media strategy that isn’t working as you’d hoped or you’d like to build a social media presence from scratch, this guide is for you, providing clear, concise, and specific instructions designed to help you make the most of everything social marketing has to offer. Ready to dive head first? Let’s go! Before you can begin marketing, you need to know who you should be marketing to. There isn’t one right or wrong answer; what you envision as your perfect market will depend greatly on what you sell, where you sell, and how you plan to reach out to your local community. As an Ottawa business, staying regional will be a major asset, but just how close to home you wish to market, gender breakdown, and ideal age range are ultimately up to you. The target audience for your business depends on many factors, and your selling options can be extremely influential. For example, if you sell products online and ship to Ottawa and greater Ontario, your locational reach will be far broader than someone with a single brick and mortar store downtown. Evaluate where most of your shoppers come from and target the areas from which you know you can grow a consistent customer base. It doesn’t matter if a Vancouver resident will swing through Ottawa at some point in the future; if they’re not local, they’re probably not worth your time and efforts. Who normally purchases your products and services? 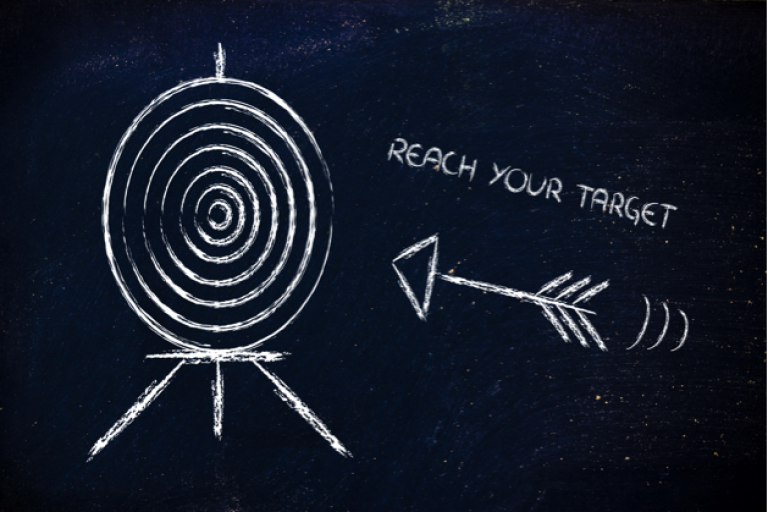 If you’re not sure, now’s the time to start tracking the metrics necessary to hone in on your target market. For example, if you sell cleaning supplies, your market will likely include adults, namely parents and homeowners. While the occasional child may delight in spray cleanser, setting your sights on local stay at home parents may get you closer to the audience you’re looking for. As a platform custom-made for business advertising, Facebook provides many useful tools designed to make finding your audience easier. You can be as specific or broad as you’d like, but keep costs and returns in mind; extending to 100 miles from Ottawa may give you the illusion of a greater reach, but you’re unlikely to see significant sales in exchange for your increased investment when you operate a brick and mortar storefront. Think also about who is most likely to purchase your products. For example, if you sell makeup or lingerie, advertising to men may not be your best bet, unless you’re aiming for holiday gifts. The same goes for age; children don’t need to see ads for tax preparation services, and most working mothers will not be interested in video games ads. While there’s wiggle room in any scenario and individuals who will be shopping outside of expected customer bases, narrowing your market as best as possible will yield the right traffic and attention from realistic shoppers. Facebook offers many ways to break down the audience for your promoted ads. Once you navigate to the ad manager screen, you will have the option to pinpoint your location, the kilometer radius you wish to consider, the gender and age breakdown, and any spoken languages you’d like to target. 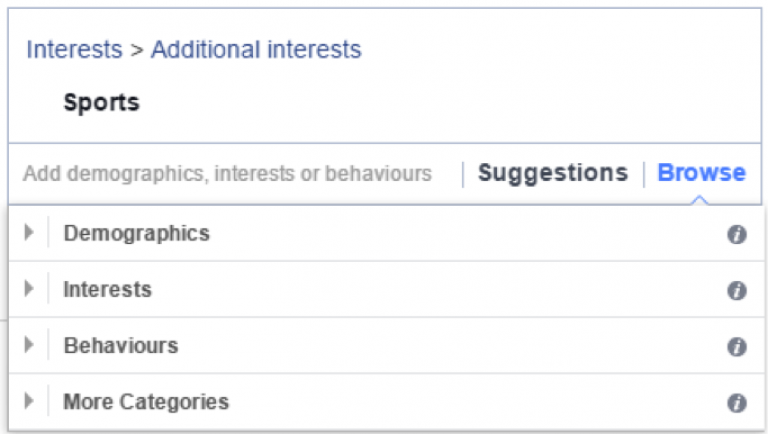 To the right side, Facebook provides an breakdown of how well your audience is defined and the potential reach of your ad. An ad that’s too vague – for example, 200 miles from Ottawa without a specific age target – may get lost in the shuffle, but being too specific – women ages 25 to 40 within 5 miles of your store – may exclude some of the people who might be eager buyers. 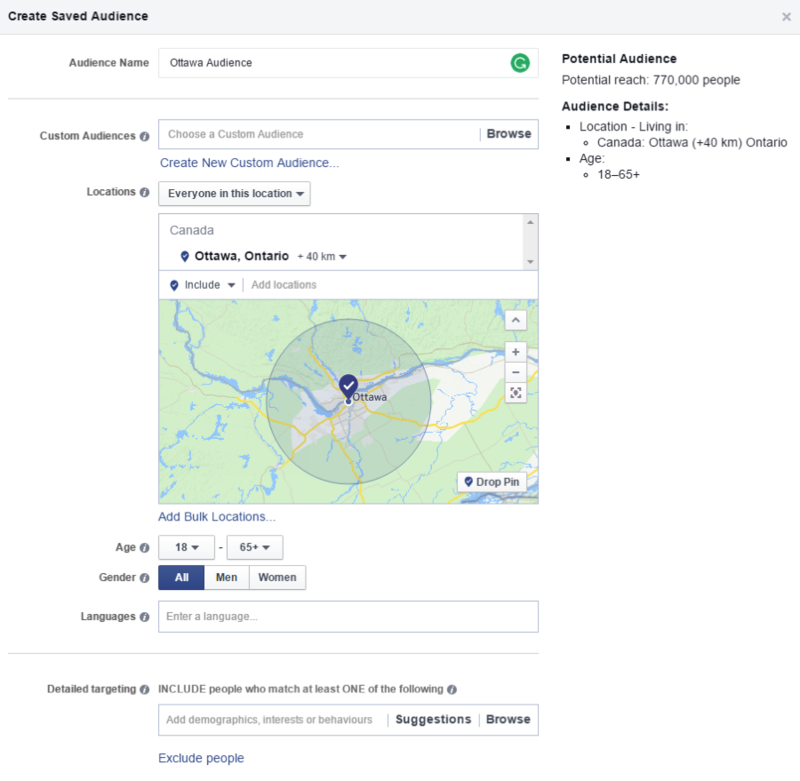 You will then be prompted to create your audience based on the Locations you want to reach, in this case, the city of Ottawa and the surroundings. In the next step we will look at refining the search with targeting. There’s more to choosing an audience than simply location. While it would be wonderful if 100% of the people who live around Ottawa could buy from you, that’s not a realistic scenario. Instead, to get the best possible response, it’s important to focus on those who have the best chance of becoming a paying customer. 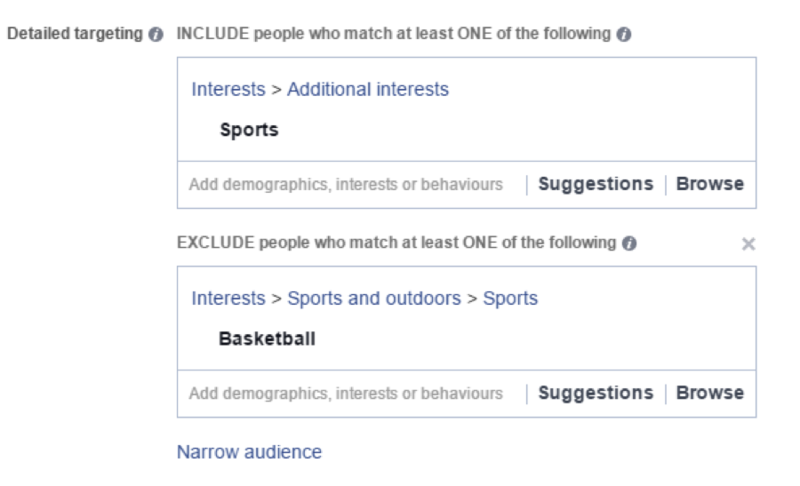 In addition to location, age, and gender delineations, Facebook also lets you target ads based on page likes and demographic information, allowing you to narrow the field to those who are most likely to shop with you. While this is not an exact science – for example, not everyone chooses to follow favorites sports, activities, and entertainment options on social media – it can be very effective in narrowing the field. Some business models, like financial consulting or payroll outsourcing, are best advertised to a specific career path, like small business owners. This way, you can ensure the right people see your ad and can act accordingly. There’s always the chance to find business in unlikely places, but this idea should be the exception, not the rule.By selecting behaviors that match the audience you have in mind, there’s a greater opportunity for success. 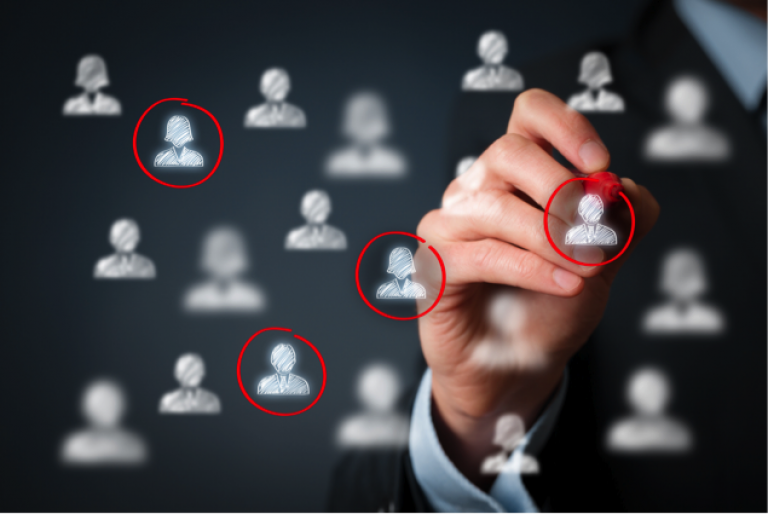 Personal interests can also go a long way in identifying the most likely targets for your ad campaigns. For example, if your company sells sporting goods, you may be able to reach a more specific fan base by narrowing your promotions to fans of things like hockey, fishing, and hunting. In doing so, you can save money while ensuring only the right people see your advertisements. After all, there’s no need to invest in a potential customer who has no need for your products or services. If you don’t know how to be more specific in your targeting, spend some time thinking about the relation between your products or services and common interests. For example if you sell health and wellness products, you may want to target individuals who are in-terested in yoga, especially if you sell yoga mats and gear. Experiment with behaviors and interest categories. You can focus on one or choose many. This category will differ for every business, depending on their needs. To do this in Facebook, go back to the audience creation screen you were on. After choosing a location, scroll down to find the Detailed targeting features. You can start by entering a specific interest that would be in line with the interests of your clients, see below for an example. 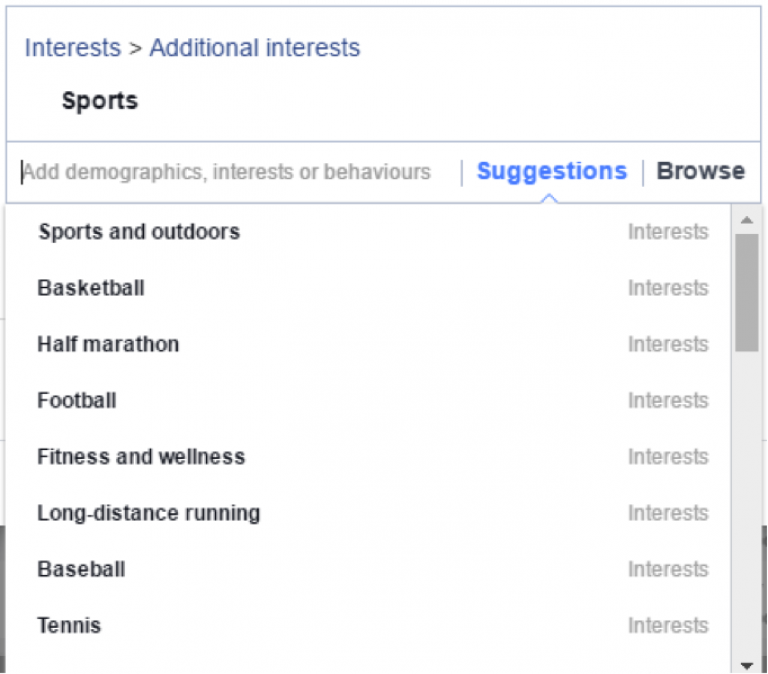 Facebook will then suggest other interests based on that topic to help you refine your search. The other way is to click browse and see what top level categories Facebook has to offer. Another great feature is the exclude function, which allows you to target a large group of people, but remove certain sub segments that are not relevant for you. With the example below, we want everybody that likes sports, but without the people that like Basketball. When using the exclude function there are thousands of combinations that you can use to target your ideal customer which increases the relevance of your ads. So you’ve now determined that your target audience is in Ottawa and you know what kind of age, gender, interest, and professional breakdown is best, but what now? 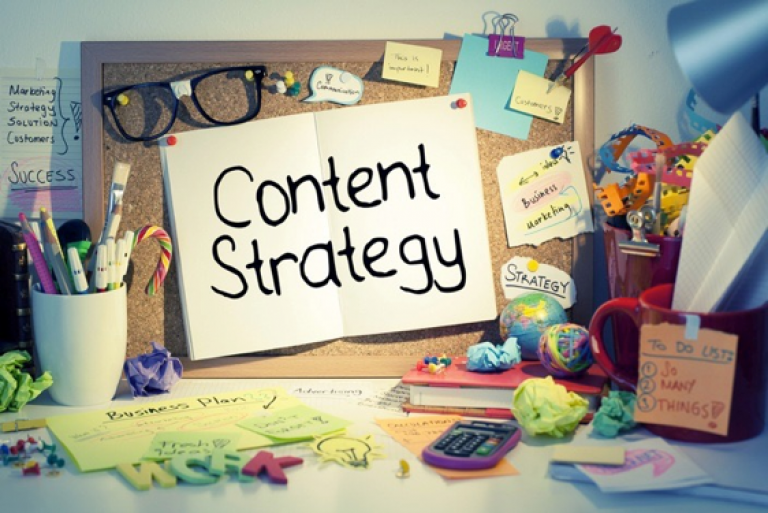 Well, now it’s time to focus on what you want to say.In creating appropriate content, it’s important to connect with your audience while still finding a way to demonstrate the merits of your products. Your followers may love hockey, but that doesn’t mean every person you target with your ads will be into hockey-centric material. With this in mind, one of the best ways to approach the process of developing ad content is to hone in on the other things your market likes. By understanding what pages, celebrities, and topics your demographic finds most interesting, you can adjust your marketing accordingly, tailoring your contests, promotions, and campaigns to the things your Facebook audience will want to read more about. 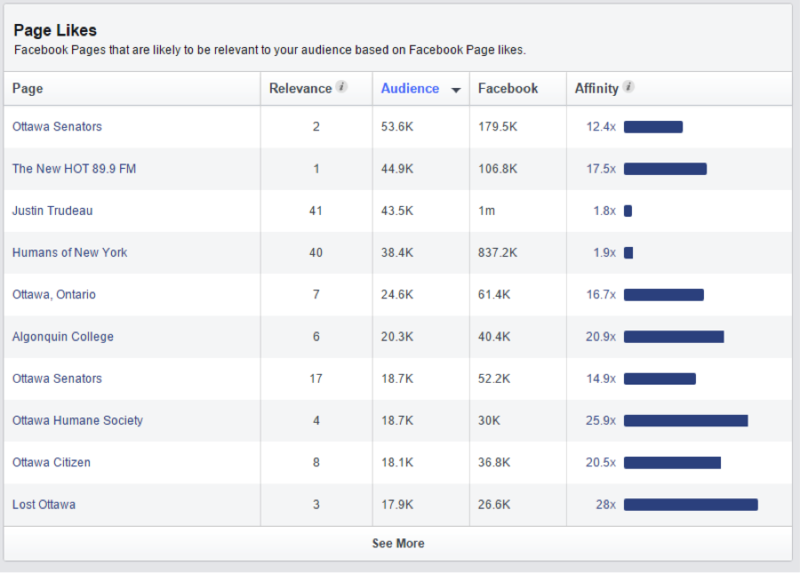 The Audience Insights feature on Facebook, located under the tools drop down in your advertising account, is very valuable for this purpose, giving you an actual breakdown of the most common things the people in your area value (or, at least, what they like to talk about and follow on the internet). Using the Audience Insights tool allows you to enter the factors and features you’re considering, like location, age, gender, interests, connections, and pages, in order to see what other pages, locations, and activities are shared. You can enter any number of criteria here, giving you the power to see where certain groups of people overlap, and what qualifiers are a little too narrow. In addition to giving you a demographic breakdown, Audience Insights can also show the most popular liked pages among the audience you chose. 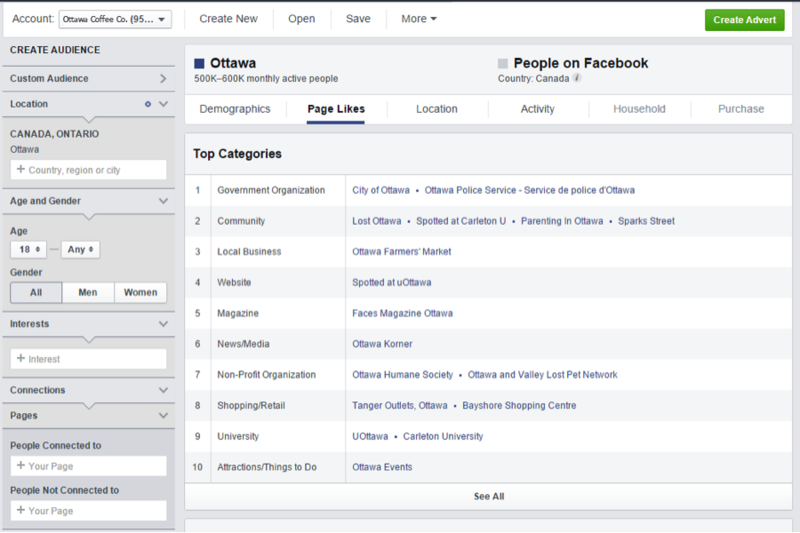 For example, as the above image shows, adults of any gender in Ottawa, a market of roughly 500,000 to 600,000 Facebook users, The New HOT 89.9 FM, Lost Ottawa, the Ottawa Humane Society, and the Ottawa Senators are mutually liked by the most people. This kind of information can be very valuable, giving you overlapping services and topics that are likely to draw the most attention to your promoted posts. If you don’t know who your competition is, how can you know what it will take to get ahead? Ottawa is a major metro area with hundreds of small businesses, as well as many regional and national chains doing business with a customer base you probably want access to. Understanding who you’re up against,how other companies are marketing, what promotions others are offering, and what you can do to stand apart is incredibly valuable, making a review of your biggest competition a good use of your time. Luckily,searching for competitors doesn’t mean pounding the pavement and driving through town. Ottawa businesses have many resources available that can be used to search local businesses, providing directory information on everyone who may be trying to take over your market share. The Ottawa Chamber of Commerce is an excellent database, listing the local companies doing business in the greater area. Users have the opportunity to search alphabetically, by keyword, or by industry, providing you a fast, efficient way to see who’s operating in your space. The Ottawa Business Directory can also be a great resource, offering a comprehensive list of businesses by category. For even more opportunities to mingle, head over to Business Events Ottawa or go here. Yellowpages can also help you find the information you need, providing a wide range of search tools based on geography, industry, and business information, ensuring you can find everyone with whom you may be competing. 411.ca in Ottawa offers similar search abilities, providing a list of every service and industry available in the greater region so that you can hone in on other companies like yours. When you know what you’re up against, it’s much easier to move forward. While you don’t want to copy your competitors’ marketing campaigns, seeing what works for other companies in your market can help you decide how to proceed. For example, if your biggest competition hosted Facebook contests that were able to attract thousands of customers, you may want to consider something similar in the future to grow your presence in an audience you know is interested. 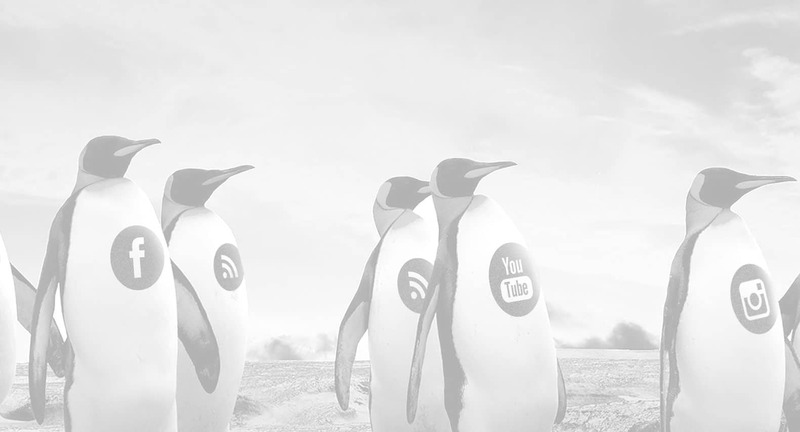 Alternately, keeping tabs on your competitors can help you stand apart from the crowd. If they’re all going left, maybe it’s time for you to go right and show your individuality as a brand. The proverb “know thyself, know thy enemy” is well-known for a reason: without knowing who you are, you’ll never be able to know where your competitors’ weak spots lie. As a local business, where you come from means a lot. 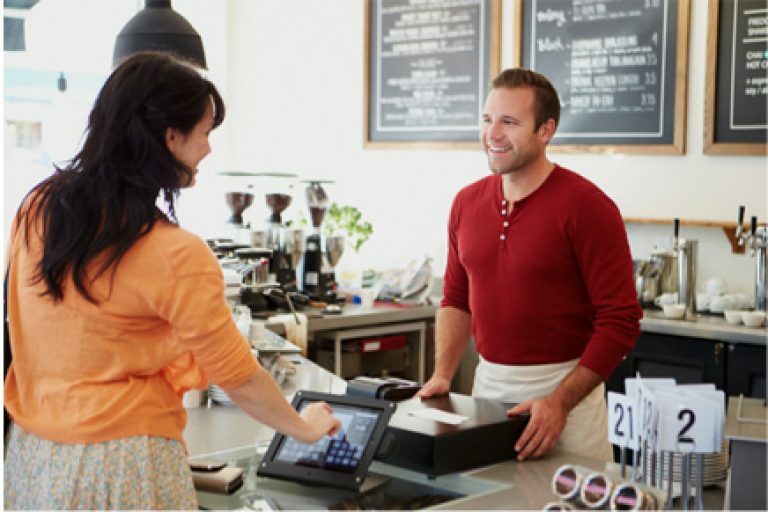 Your most loyal customers will more than likely be your neighbors, friends, and community members, making the events going on in town all the more important. Knowing what’s going on in Ottawa is a big factor in your success especially when local events, organizations, and foundations can give you a way to put a face to your brand, networking in your community and creating a positive impression on those around you. By keeping tabs on local ongoings, like concerts, festival, parades, and art shows, you can make a plan to advertise who you are and what you have to offer in the real world. Posting about upcoming events, whether you’ll be there or not, is a great way to keep your local audience involved, showing your devotion to the place you call home. When you know what’s taking place in Ottawa, you can plan your marketing accordingly, making arrangements to set up booths, make appearances, and spread the word on your Facebook page. Tracking what’s going on in the local community can be easy, provided you know where to look. Spotlight provides extensive resources, giving you a clear list of everything in Ottawa, from theater events to art shows, literature gatherings to workshops. 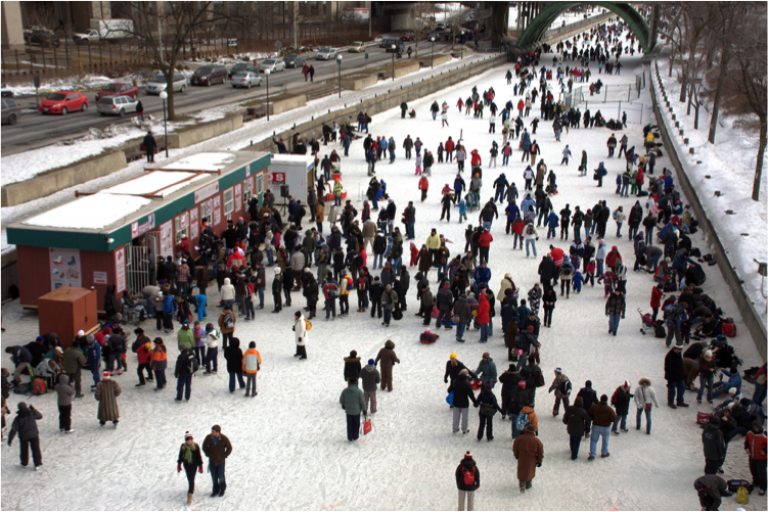 Ottawa Tourism, the official website of tourism in Ottawa, is a one-stop site for everything happening in the greater area, including family fun, special events, and seasonal festivities. 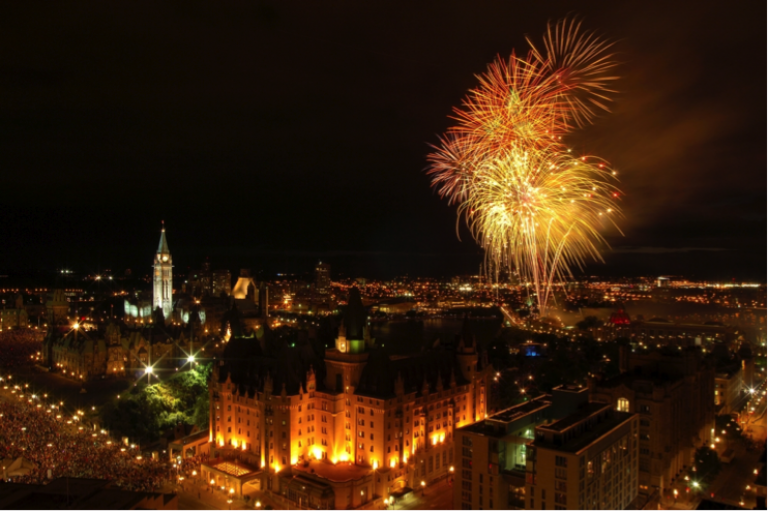 The Ottawa Citizen’s Events Calendar can make sure you’re always up to date, providing a full list of everything going on in town in neat chronological order with relevant details like location and price. Eventbrite is one of the web’s premier sources for event organization, giving you insider information into public and private events in the greater Ottawa area in an easily sortable interface. There’s no need to stalk event pages, looking for the next greatest thing, however; checking in a few times a week and building upcoming festivities of note in your marketing calendar should suffice for your social media needs. Are you hitting the town? There’s no requirement to show up at local events, but if you’re planning to attend, it’s a great idea to let your followers know. Announcing promotions, special offers, and giveaways online can be among the best ways to link your social media presence with a face, name, and identity, as well as a way to your support for the local community. Not able to make it this time? No worries – you can still advertise upcoming events to your followers, showing your love for everything Ottawa has to offer.? A plan is necessary before embarking on any major endeavor, from building a business to getting your digital marketing off the ground. Social media, despite the laid back, friendly environment, isn’t all fun and games.Sites like Facebook are serious business tools when used effectively, helping to elevate you above your competition by increasing visibility, developing your brand, and driving business to your website or storefront. In order to make the best possible use of the tools you have available, however, you have to have a plan in place before you ever put pen to paper. 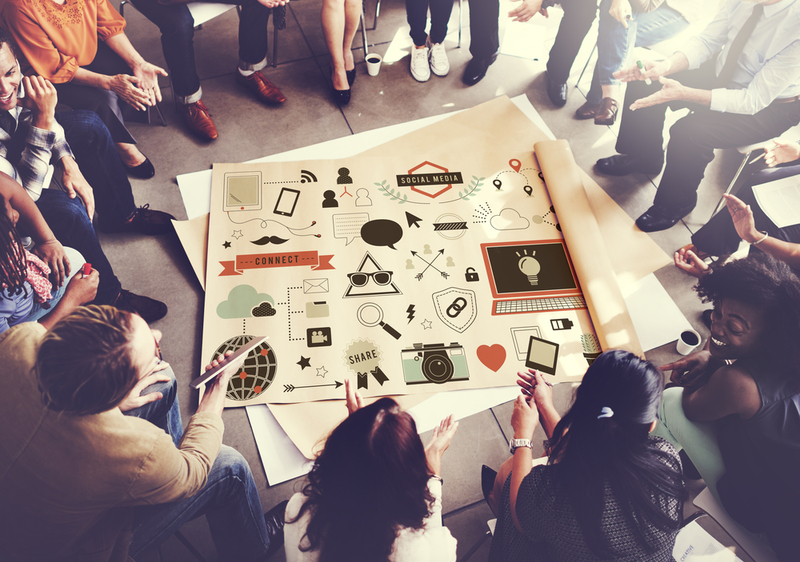 Every social media campaign should have an overarching goal, driving every aspect of how you approach the tools and techniques at your fingertips. If, for example, you want to drive visitors to your ecommerce page, your Facebook ads and posts should demonstrate this, focusing on what kinds of pitches, promotions, and dialogue will get web users to stop and take notice. Before taking your first click to the Facebook Ad Builder or the Audience Insights tool, you need to first know what you’re hoping to accomplish. Once you know what you’re looking for, whether that means additional Facebook followers, more email subscribers, or a boost in sales, you can begin the process of bringing what you’ve learned to life, selecting your target market, creating content, and publishing posts, both on your page and promoted to the demographics you selected. With a thorough understanding of what social media can do, you’ll be ready to take the next steps,building an online brand built around creativity, self-promotion, audience interaction. Taking the first steps in Facebook marketing, especially when you’re new to the social media scene, can be very overwhelming, but the investment is often well worth it. Promoting yourself on social media is one of the most effective strategies for small businesses,providing an affordable resource with the potential for amazing results. Boasting a strong ROI and an easy, user-friendly interface, even newcomers to marketing can create beautiful, effective ads that will drive business in the greater Ottawa area. If the pressures of social media are outside of your comfort zone, it’s okay: you don’t have to do it all alone. Seeking support from a firm like Ensuite Media can provide the boost you need, helping you make the most of social tools, designing high quality ad campaigns, and working to make sure everyone in your target audience is well aware of what you have to offer. With the right objectives, approach, and attitude, social media has the potential to do amazing things for your Ottawa-based company, driving sales, web traffic, and business growth, no matter what you’re hoping to accomplish.